Upgraded performance for competitive shooting. 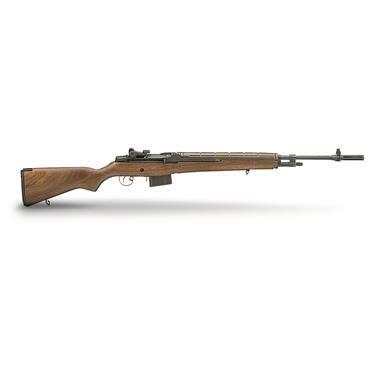 From 1959 to 1970, Springfield Armory® produced the M14 for the United States military. When its civilian-legal variant M1ATM was introduced, shooters were able to experience the reliable performance the military trusted for so many years. The M1ATM is equally comfortable at the range or in the tree stand as it is on the wall with your military collection. The Springfield® M1ATM Loaded has some legacy-enhancing upgrades like the National Match air-gauged barrel and competition-grade National Match 2-stage trigger. The M1ATM has you covered, whether you’re looking to load your trophy case or your freezer.